Mr. Drago’s legal practice focuses on estate planning, taxation, charitable giving and tax exempt organizations, business succession planning, as well as elder law and long-term care planning. He has also handled multiple disclosures of unreported foreign investments with the Internal Revenue Service. 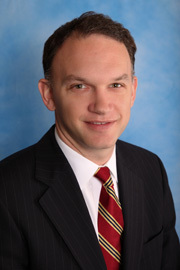 Mr. Drago joined the firm in March 2011. Prior to joining the firm, Mr. Drago was a founding member of a publication based in Brooklyn, New York. He was also employed as a communications designer for National Grid from 1999 to 2011.